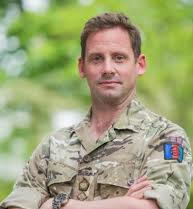 Welbeck offers a unique opportunity for young men and women to study for their A levels on a career path that will eventually lead to a career as a technical or engineering Officer in the Armed Forces, or as a civilian engineer within the Ministry of Defence (MoD). The modern, purpose-built campus provides co-educational boarding for 350 students. Students can also join the College under the Welbeck Private Scheme (WPS). WPS students are an integral part of the College and follow an identical programme of study to the MoD-sponsored students – although they are not committed to joining the Armed Forces or MoD, a number do progress to follow Service careers. Welbeck is primarily an academic institution, where all students should expect to be challenged, excited and inspired intellectually, but it also has a fundamentally military focus where students are prepared for their future careers through military experiences and leadership opportunities. 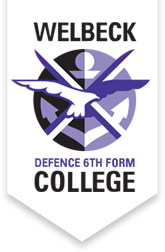 The Defence Sixth Form College provides a proven pathway to a career in the MoD. It represents the first step in the Defence Technical Officer Engineering Entry Scheme, and is the only College in the country to offer students a career-focused route through sixth form and university, and ultimately into their chosen career. State-of-the-art facilities, inspirational teachers and a dynamic community make Welbeck a leading co-educational College. With a focus on maths and physics, our aim is to inspire and educate students in order to maximise their potential. After Welbeck, students will read an engineering, technical, business or logistics based degree at a leading UK university: Aston, Birmingham, Cambridge, Imperial College, Loughborough, Newcastle, Northumbria, Oxford, Portsmouth, Southampton or Strathclyde. Here the support and mentoring continues through the Defence Technical Undergraduate Scheme Squadron. They receive a bursary of £4,000 a year while at university as well as training pay. WPS students can choose to continue their studies at a university of their choice. Each year 175 high-calibre young men and woman join the College. Living and learning with like-minded, career-focused individuals gives a unique atmosphere, energy and collective drive. Under the careful mentoring of skilled and experienced staff, students benefit from a full boarding environment geared to shaping a successful career in the Armed Forces or Ministry of Defence Civil Service. Our students come from a diverse range of social and cultural backgrounds from all over the UK and from UK families overseas. The majority of students have never boarded before so students develop personal skills to adapt to the residential environment, and are committed to contributing in every aspect of College life; in doing so building respect for all members of the community. At Welbeck academic studies combine with developing core military skills and values, to provide a broader learning environment. Our programme of intellectual, personal and physical education develops in our students a moral integrity, responsibility and genuine sense of service. Central to the College’s ethos is supporting each student to unlock their potential, enabling them to achieve more than they believed possible. A central emphasis of Welbeck is the development of leadership potential and military skills. 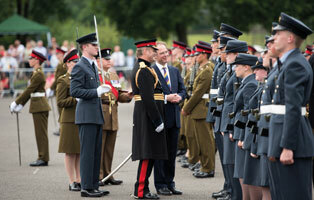 The College benefits from having four full-time permanent military staff, and these are assisted by CCF officers. All students are expected to join the College CCF and there is a common training programme; each student takes part in the main exercises during their time at the College. There are also single-service visits, giving students opportunities to get a close look at working and training units. The unique leadership opportunities are accredited by the Institute of Leadership and Management (ILM) with all students completing the ILM Level 3 Award in Leadership during Year 12. All students participate in major games and can choose from a wide variety of activities. The outstanding facilities include a multi-functional sports hall, fitness rooms, tennis and squash courts, swimming pool, all-weather sports pitch, 12 other grass pitches, a high ropes/confidence facility and assault courses. Students actively support both local and national charities through fundraising, volunteering and taking part in events. There are also many musical groups, clubs and societies that students can join. 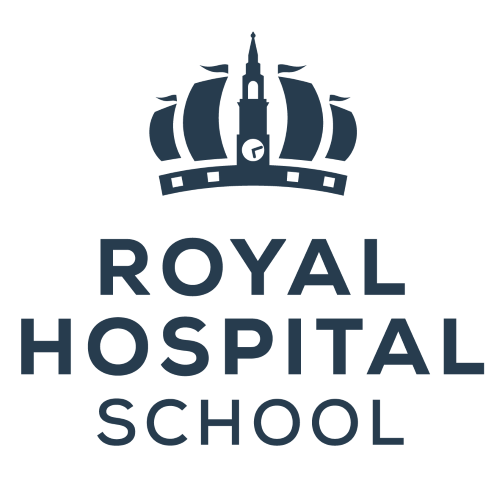 Outstanding levels of pastoral care are at the heart of the College ethos and this is centered around five co-educational boarding houses, each with live-in house parents. This environment provides a unique ‘pre-university experience’ for students. 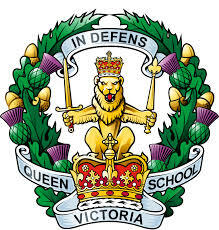 To apply to Welbeck, and subsequently the Armed Services, you should be a medically fit UK, Commonwealth or Irish citizen aged between 15 and 17 years and six months on 1 September in the year of entry to the College. Commonwealth citizens are required to have five years’ residency in the UK before application. Certain other single-service conditions may apply and will be outlined at the time of application. To join Welbeck as a Civilian Ministry of Defence Civil Service candidate you must be a British Citizen or hold dual nationality, one of which must be British. Applications are made directly to the sponsoring service. WPS students apply directly to the College. 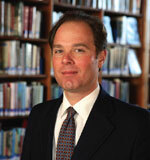 Peter Middleton became Principal in September 2013. Peter, who was previously Deputy Head at Clifton College in Bristol, was born in Somerset and read Chemistry at Oriel College, Oxford. He began his teaching career at Cheltenham College, where he was a deputy Housemaster, Master in Charge of Rowing and an officer in the Army Section of the CCF. He moved to St Edward’s School, Oxford, where he was a Housemaster, re-formed the Royal Navy Section, was Master i/c Rowing and an international rowing coach. Throughout his career, Peter has taught Chemistry to A level. His experience is grounded in the co-educational boarding sector within schools that have high academic aspirations and expectations. He has experience of being a governor of both independent and maintained sector schools, and is a member of the University of Loughborough Student Disciplinary Committee. Peter is married to Clare, an educational psychologist, and they have three children.